National Park Girls is unlike anything I’ve seen before. It’s an episodic visual novel series developed by Studio Coattails. For clarification, Studio Coattails is one half of the team that worked on Highway Blossoms. Coincidentally, the other half is Studio Élan which recently released Heart of the Woods. It’s important we bring up Highway Blossoms because of the similarities it shares with National Park Girls. Among those are the settings being within the continental United States and the fact that both games carry English voice acting, two unique aspects that get eyeballs on a visual novel’s store page. However, that isn’t enough for Studio Coattails as they toss up the most unique selling point I’ve ever seen. They’ve turned the national parks into cute girls. In this new adventure your name is now Eve and you’ve been a park ranger for five years! However, you dread it and the game lets you know perfectly well why in the first few minutes. First, the campers are idiots and your co-workers are annoying. Second, the park is on a tight budget and limits what you can do. Finally, you’re kind of on thin ice for punching a few careless campers. Regardless, you’ve been moved to a new post and you’re doubting if being a ranger is even worth it. You’re escorted by your cute airhead of a supervisor named Jessie who gives you a pep talk before arriving at your new home. 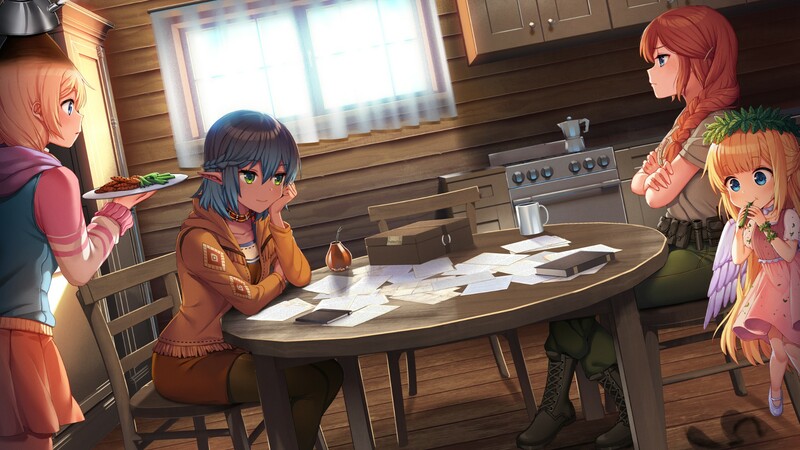 After a long day involving yelling at another camper and making a cute new friend, you settle down and start writing in your journal. That is until you hear noises and the power goes out as two daunting figures emerge and ask you to leave and never come back. However, you’re not really in the mood and tell them that you have to stay due to work. Thus an ongoing back and forth ensues until the jig and the power comes back up. Two of the figures give up, and reveal themselves to be Zion and Yellowstone with the other following up as Yosemite. Meanwhile, you notice a few things off about them, like how Zion can float, Yosemite has ears similar to an elf, and Yellowstone just has a volcano on her head. Eventually, you come to a temporary truce with these girls and wait until morning to report them. Finally, this kicks off the beginning of a wild ride for Eve, a passionate park ranger who has now met what look like physical embodiments of the very parks she loves. When it comes to National Park Girls, saying it’s weird is an understatement. However, I mean that in the best way possible, as the game introduces the trio of park girls as a quirky bunch. You’ve got Yosemite who just flat out insults Eve’s intellect every few minutes, followed up by Yellowstone who seems to be the caretaker with a sense of humor. Rounding them up is Zion, who happens to be the purest incarnation out of the three. This on top of Eve who has just grown cynical with all the stuff she’s had to deal with to get here. Certainly, it was like looking at a weird family from a distance. The writing was quick and to the point. It didn’t waste any time, and provided me with just the right amount of background to have a basic understanding of the story and characters. 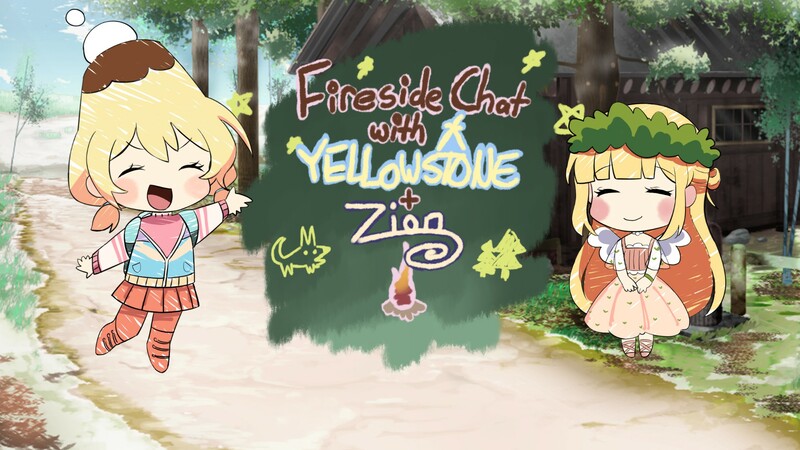 Likewise, it was filled with humor and towards the end it was unexpectedly informative with the fireside chat segment. The soundtrack is as peaceful as taking a walk in a national park, overall making the entire thing immersive. The voice acting is superb, as Studio Coattails paves the way for more visual novels to incorporate English voice acting. Finally, the art is as sweet and colorful as candy, never a dull moment on screen with characters and background blending perfectly. Overall, National Park Girls is a unique must-read experience. My only problem is the length as I find myself wanting to read more and felt that where it ended was a bit anti-climactic. However, my interest is at a high and I’m counting the days until the next episode comes out. 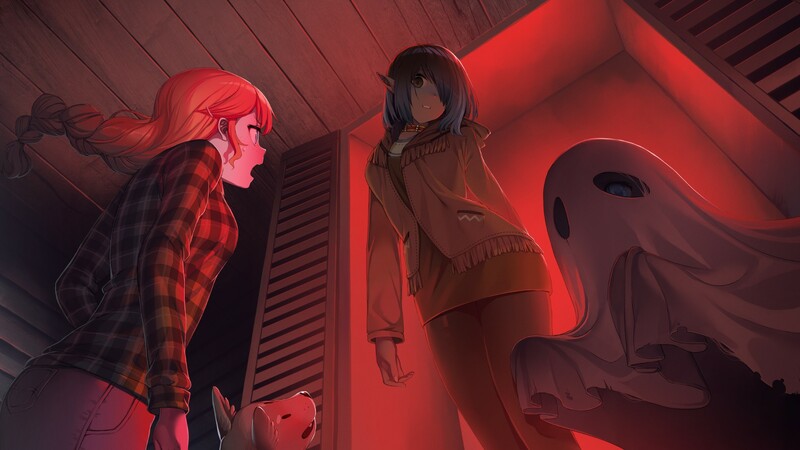 National Park Girls is out now on Steam for $4.99, and after clocking 100 minutes in this adventure I can say it’s worth every penny. Diego is a huge animation and video game aficionado from a small island in the Caribbean. He hopes his writing gets him places he'd never thought possible.